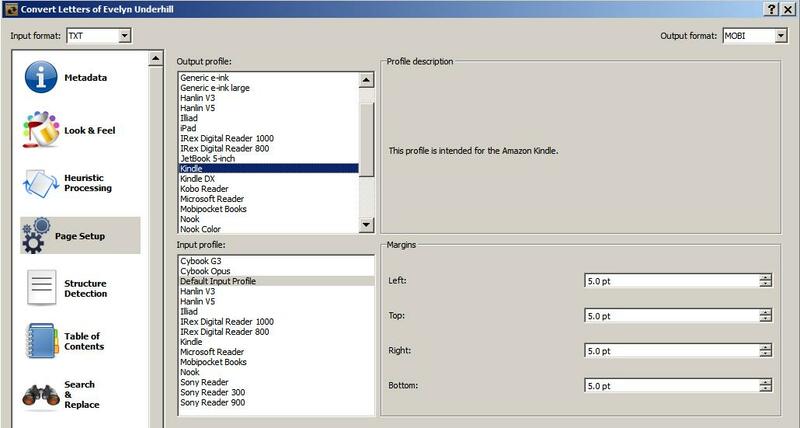 Let me say up front that I've only used this method with Kindle 3, so I don't know if it'll work the same on earlier generation Kindles or not. Also, you can, and should, click on the photos in this post to enlarge them when you get to them. You can of course find thousands of free books in public domain on Gutenberg's site among others. (Hint: Gutenberg's site in Australia has several books that the American site doesn't have because things go into public domain faster down there, and also just because they have people uploading different books.) 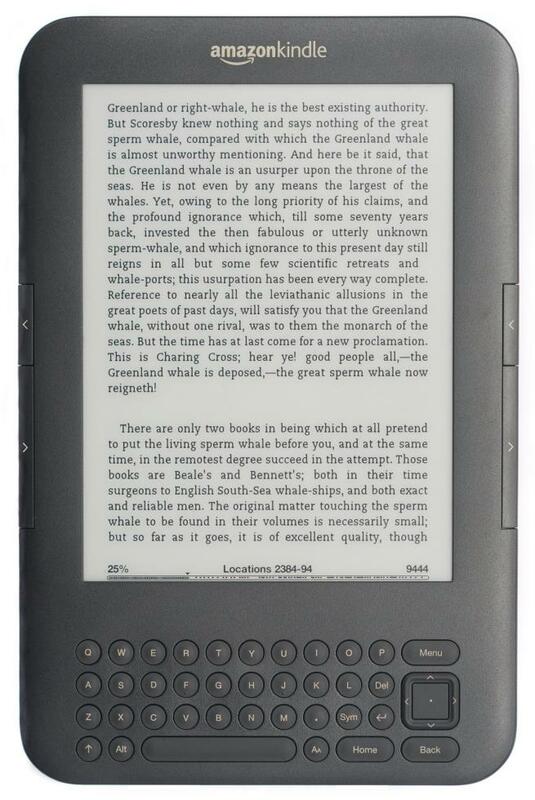 One problem with these Gutenberg type sites is that they often don't have a downloadable version available that looks right when viewed on your Kindle. 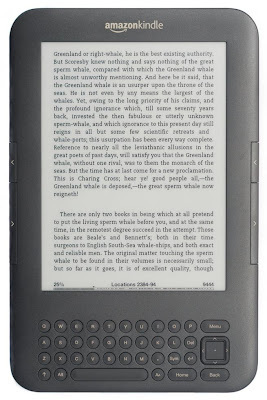 Kindle's own proprietary text format (.AZW) is based on the .MOBI format, so .MOBI seems to work best when converting text files for Kindle. However, many programs I've used for doing the .MOBI conversion don't do it correctly. Gutenberg does indeed have many of its books already in the Kindle format (or .MOBI) available for download; however, they aren't always converted correctly either, and there are still many books that are only available as Plain Text (.txt), Word (.doc), Rich Text Format (.rtf), or .HTML. The best way I've found to do things so far is to download .RFT files if available and do my own conversions of them. The next best files are probably .TXT files, and you can almost always find those available. 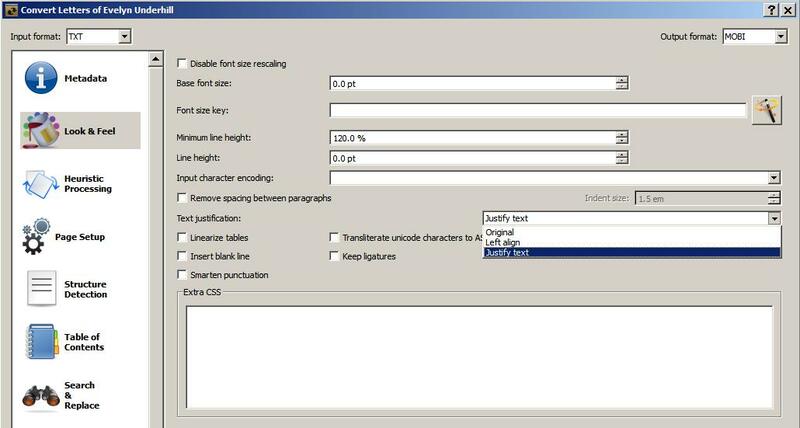 Keep in mind, however, that .TXT files won't preserve certain things found in the original books such as italics, bold print, or underlines, while RTF will preserve those. For demonstration purposes here, we'll use .TXT files to convert to the .MOBI format. The best program I've found for doing this is a free one called Calibre, so you'll need to download that. And believe me, I've tried several different programs, and this is the only one I've come across that actually outputs a .MOBI file that looks correct on my Kindle 3 unit. I'm not going to go through a step by step process because it's pretty straight forward. 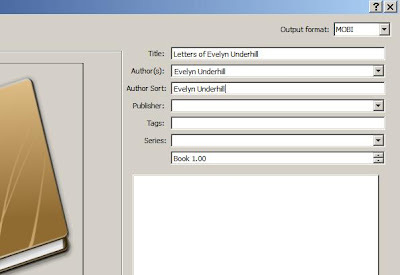 What I'm going to do is to give you some hints that will help you make sure that the files it outputs will be correct for Kindle viewing. You'll see several options on the left-hand pane. The first one is called Metadata. You can see at the upper left it shows that I imported a .TXT file to convert, and on the upper right you can see that I chose to convert it to a MOBI file. 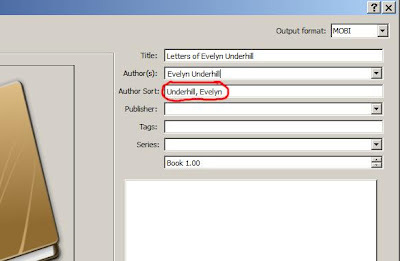 Now if you look where it gives info about the book's title and author, Calibre by default will show the author's last name first like this: "Underhill, Evelyn". However, Kindle uses the author's first name first like this: "Evelyn Underhill," so make sure to change that. 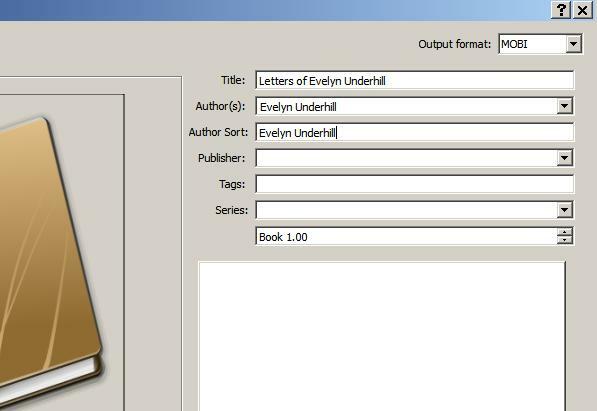 It won't hurt anything if you don't, but this will keep all your book titles sorted uniformly on your Kindle. Now click the "Look & Feel" tab on the left. Look to the right for the "Justification" drop down menu and choose "Justify text." Now click on the "Page Setup" tab. 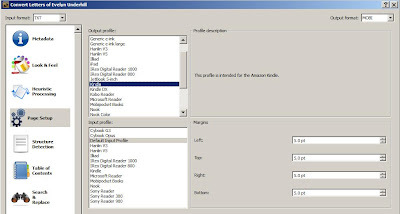 Make sure "Kindle" format is chosen from the output profile window or Kindle DX if you have a DX unit. You can leave the input profile window set to default usually. That's all there is to it. 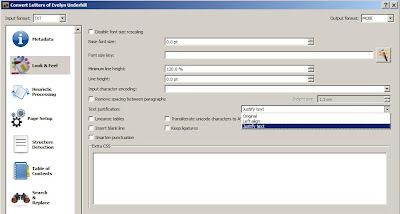 If you import an .RTF file instead of .TXT the steps are still basically the same. I've noticed that the table of contents on some of my .TXT files are kind of pushed together sometimes, but other than that, Calibre outputs a very nice .MOBI file that will look great on your Kindle. So this isn't working for me... 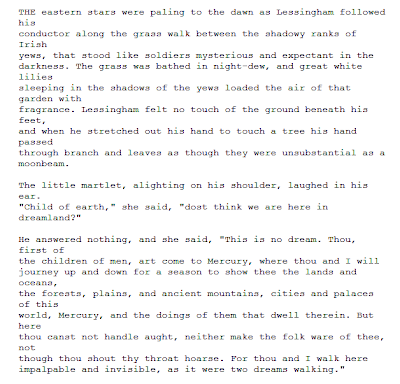 Apparently the formatting is off? 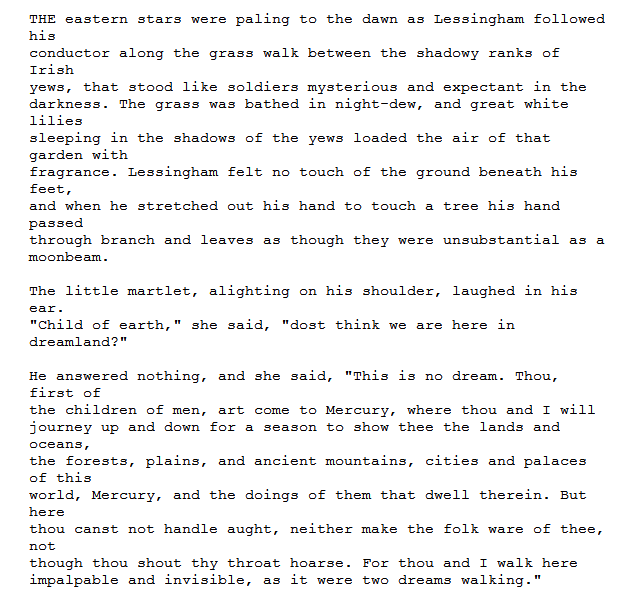 I can read it on the Cool Reader app on my Droid 2, but I can't read it when I convert it. Can't read it at all? Are you saying the file won't even open? Maybe the Droid 2 can't read mobi files. Actually, I don't think it can. 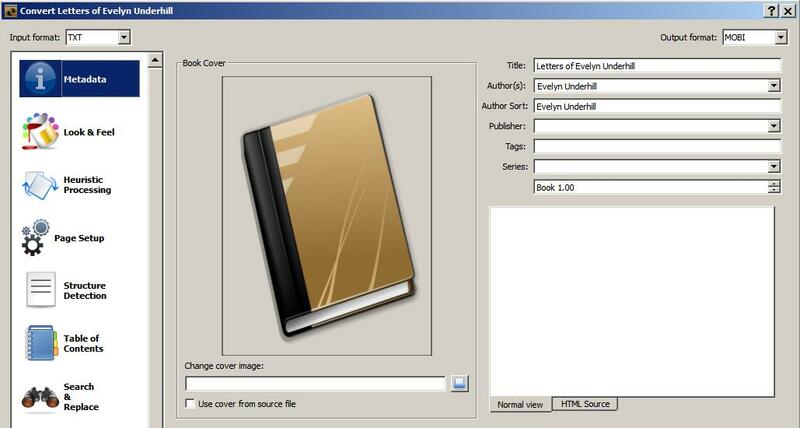 So it's probably best to convert it to an epub file instead. That should work. Great helps. I'm still a mess with the Table of Contents though, just won't get in there at all. Well, apart from Chapter One, but after that, nothing... any tips? Great tips, thanks. I'm still a mess with my table of contents, though. Only the first chapter shows up and I haven't a clue where I'm going wrong with it... I have 17 chapters to get in there and have been going at this for more than a few hours now. Any further tips...? Thanks.